Merck & Co's hopes of adding cardiovascular outcomes data to the label for its Januvia-based diabetes drugs have been knocked back by the FDA. The US regulator has sent the pharma company a complete response letter for DPP-4 inhibitor Januvia (sitagliptin) and combination product Janumet (sitagliptin plus metformin) - along with extended release formulations - saying it was not able to approve updated labelling that would include the results of the TECOS outcomes study. Merck has not revealed the reasons for the rejection, but said it is "reviewing the letter and will discuss the next steps with the FDA". The TECOS trial, which involved over 14,500 patients and ran for three years, found that type 2 diabetes patients with established cardiovascular diseases were not at greater risk of major adverse cardiovascular events - including cardiovascular-related death, non-fatal myocardial infarction, non-fatal stroke or unstable angina requiring hospitalisation. It also found no increase in hospitalisation for heart failure in Januvia patients and similar rates of all-cause mortality, laying to rest earlier concerns that use of the DPP-4 inhibitor might lead to cardiovascular complications in diabetes patients. Those concerns have caused warnings to be imposed on some rival drugs, namely AstraZeneca's Onglyza (saxagliptin) and Takeda's Nesina (alogliptin). Januvia is a massive product for Merck bringing in $6.11bn last year, but growth is slowing - with downward pricing pressure offset by volume gains - and Merck had hoped the label revision could add another sales boost. The DPP-4 inhibitors as a class are facing stiffer competition from SGLT2 inhibitors - another class of type 2 diabetes drugs that have data indicating they can actually improve cardiovascular outcomes. The EMPA-REG OUTCOME trial showed that Eli Lilly and Boehringer Ingelheim's SGLT2 inhibitor Jardiance (empagliflozin) was able to achieve a 35% reduction in hospitalisations for heart failure in a high-risk patient group, and AstraZeneca has just published real-world data suggesting this may be a class effect. 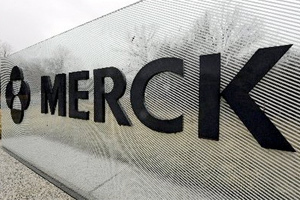 Overall, the complete response letter is not expected to be a big blow to Merck, which has filed a combination product based on Januvia and its own SGLT2 inhibitor - ertugliflozin - in the US and Europe. The FDA is scheduled to deliver a verdict on the marketing application before the end of 2017.